« From Flower to Fruit and a Berry Nice Birthday! The benefits of nettle seeds have some overlap with those of the leaf, both being strengthening, mineral rich, great for skin and hair and for supporting the kidneys and urinary system. Whereas the leaf is gentler and more nourishing however, the seed packs more of a punch. Abundant and ready to harvest. According to Henriette, ‘Nettle seeds are adaptogens. They help with the general stress response, they strengthen the adrenals, and they’re loaded with minerals and trace elements’. As most of the hype around adaptogens has centred on exotic plants from far away lands it’s particularly nice to have such a great example growing abundantly here in the UK. 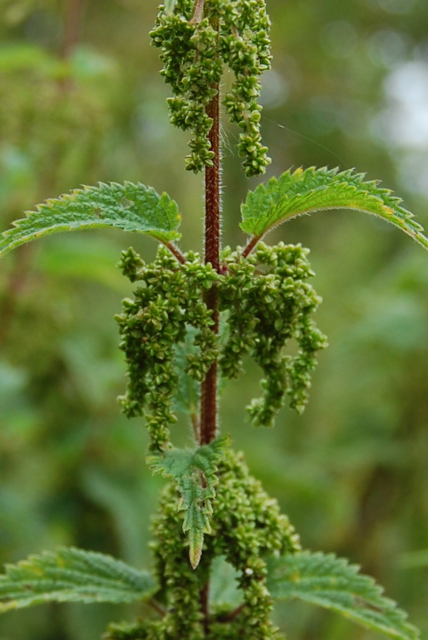 I always think that the medicines we need most are the ones which are most abundant near where we live and in these stressed-out, sped-up times, for many of us nettle seed is no exception. Useful for chronic exhaustion, adrenal fatigue and burnout, nettle seeds have also been used to aid kidney function in both people and animals with degenerative conditions. David Winston writes here, ‘I discovered Nettle Seed could be used as a kidney trophorestorative – literally a food for the kidneys. I have used the seed tincture to treat over 30 cases of degenerative kidney disease and the results have far exceeded my expectations. A recent study published in the Journal of The American Herbalist Guild [4(2):22-25] confirms my clinical experience, showing that Nettle Seed increases kidney glomerular function and reduces serum creatinine levels. Many herbalists have seen significant benefits from using Nettle Seed tincture in patients with glomerulonephritis, chronic nephritis with degeneration, and to protect the kidneys from nephrotoxic medications.’ Impressive stuff. As the endocrine glands work together to maintain a subtle balance in the body, often a medicine that affects one of them will have a knock on effect throughout the entire system. So nettle seeds can help harmonise the whole of the endocrine system, though their primary action is to balance the adrenals. Last year, Sara Jane of Brighton’s Green Aprons group told me that taking just a small amount of the fresh green seeds had kept her awake the whole night. Kiva Rose has also spoken of the overstimulating effects of the fresh seed. They don’t seem to affect me in quite the same way, so perhaps it’s constitutional. From an Ayurvedic perspective I imagine Pitta types would find them quite stimulating but Kaphas could benefit from their energising effects. I’m pretty Vata and, as I say, they haven’t ever kept me awake, though they did give me a surprising and uncharacteristic motivation to do lots of housework! Perhaps I shall make my fortune marketing them as the new ‘mother’s little helpers’. Or perhaps not. To be on the safe side, it’s best to take the dried seeds as they have a more gently restorative action and are energising without being too stimulating. The first time I harvested the seeds I ignored Henriette’s advice and, like many a young herbalist who disregards the voice of experience and wisdom, I came a-cropper. As she suggests, nettle seeds do seem to harbour a remarkable amount and variety of insect life, so it’s really best to do as she says and cut whole stems rather than just the seeds and hang them for a few days to allow the wildlife to escape. I take them down before they are completely dry and finish them in the dehydrator but that’s just because years of living in damp houses have made me cautious of air drying anything. Once dry, strip off the strands of seeds and rub them through a sieve, you’ll be left with a beautiful harvest of dried nettle seeds. 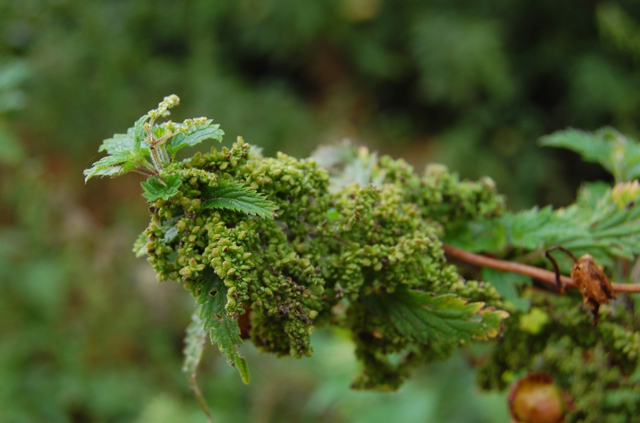 Most of the nettles growing near me are the perennial Urtica dioica but if the annual Urtica urens is more abundant near you then do remember when collecting seeds that the success of next year’s new plants depends on them. If you have only a few plants in your area, look elsewhere for your bounty. This lovely nettle patch, and a couple more like it, are just outside my house so I’m lucky not to have to worry about over harvesting! Nettle seeds are so easy to incorporate into your daily diet and can be thought of as much as a nourishing ‘superfood’ as they are a medicine. Sprinkle them on salads, soups, in sandwiches or blend in smoothies. Take up to a teaspoon a day and see how you go, you can use more or less depending on how they affect you. I make a delicious seasoning from nettle seeds, hemp seeds, nutritional yeast, mixed herbs and a pinch of salt and pepper. This amount of nettles filled an average size jar with dried seeds. I’ll need to do another few harvests in order to make a tincture from the fresh seed and stock enough dried seeds to see me through the year. 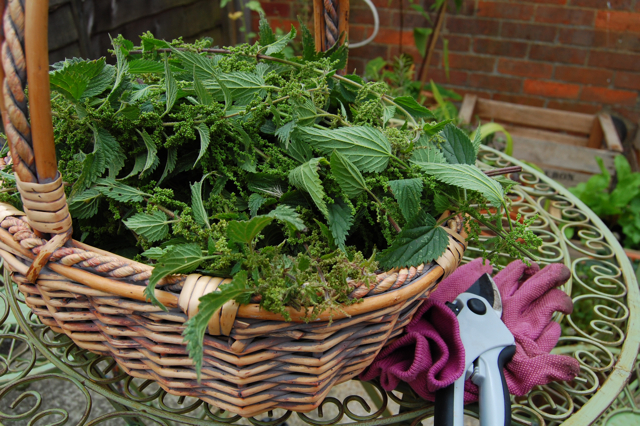 For more detailed info on when to pick and how to process nettle seed see this post here. I really must try to get out there to harvest the seeds. Thanks for the reminder. I totally agree, and practice a bioregional approach to herbwifery as much as possible. Thanks April.There are so many great plants outside our doors aren’t there! Since I discovered nettle seed properties about 3 years ago, I’ve been harvesting whenever I can. There always seem to be people who need them. I have a workshop on Saturday and the participants will be seiving nettle seed while they sit and relax in the Sanctuary. How lovely. The Sanctuary sounds like it truly lives up to its name. I just harvested nettle seeds today, so this was a very timely post! Mine are outside right now, waiting for the little critters to depart before bringing inside. I have seen a great benefit to my energy by taking the dried seed, so I’m excited to be using my own this year. Brilliant. I’m hoping to get my next lot this weekend, weather permitting. There are a lot of critters aren’t there! It’s amazing that they can all hide out in such little seeds. Enjoy your harvest. I think this might help me. So is August the best time to harvest the seeds? Just watch out until they look ready, in this part of the world (UK) that is usually late July, August or early September depending on weather etc. Have a look at this post here too as I show photos of the right time to harvest. Thank you for the post. I too love nettle seeds. I grind a mix of nettle seeds and dry Kelp, in the coffee grinder. I add it to my breakfast smoothies and oatmeal, salad dressing etc….Love it! Sounds wonderful. And packed with nutritional goodness! Thank you for an informative post! I am wondering whether there are any contraindications or precautions to be aware of? I am recovering from adrenal fatigue and found that nettle seeds provided wonderful energy. But then someone told me they should be used sparingly, because they can cause hormonal upsets. What are your thoughts? Thank you! Are you taking the seeds fresh or dried? As the whole seed or in tincture? The dried seeds are more nourishing and the fresh are more stimulating. Eating them in whole form is generally considered very safe in reasonable doses unless you are one of those people that is easily over-stimulated by eating fresh seeds. I have not come across anyone reporting hormonal disturbances yet but, as always, it’s important to see how they affect you individually and respond to that. If one wished to keep fresh seeds for use, do they freeze well? Thanks for your help! I have never frozen them, I always dry them to preserve so I can’t tell you from experience. As far as I know seeds don’t always freeze well but as I say, I haven’t done it myself. Sorry I can’t be of more help. Hi Lucinda, I wonder about using the seeds as a base for bread. I have seen an episode of “best of British” by the hairy bikers in which a druid is seen making bread. As the druid is interviewed a stalk of nettle including the seeds are shown and I assume the bread uses nettle seeds as the base cereal. My question(s): Do you (or do you know of any who) have experience using nettle seeds as a base for baking bread and is recipe available for those who like to try? How do you make a tincture out of the seeds? You can use the folk method which doesn’t require an alcohol license or specific measurements. All you do is fill a jar with seeds cover with vodka or another alcohol that is at least 40%. Leave for about 2/3 weeks if seeds are fresh or 4 weeks if dried and strain the seeds out. The alcohol extract you are left with is the tincture. Hi, I have thousands of seeds if you’d like some? Hi all. Does anyone know whether all varieties of nettles have edible seeds? That is, all species from the genus of urtica? 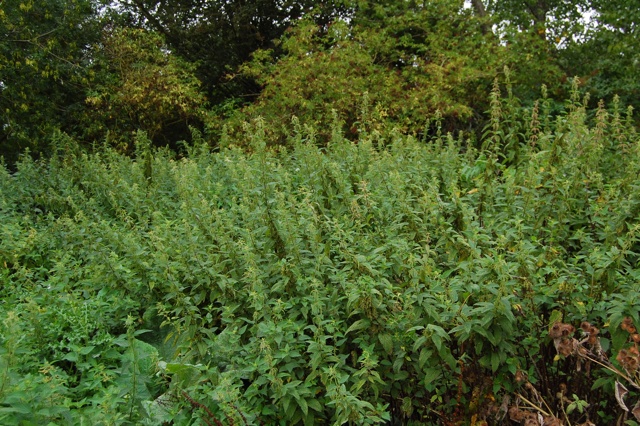 I want to compare British nettles with Kenyan nettles. Thanks! So,I assume this is NOT Stinging Nettle? Yes common stinging nettle, Urtica dioica. 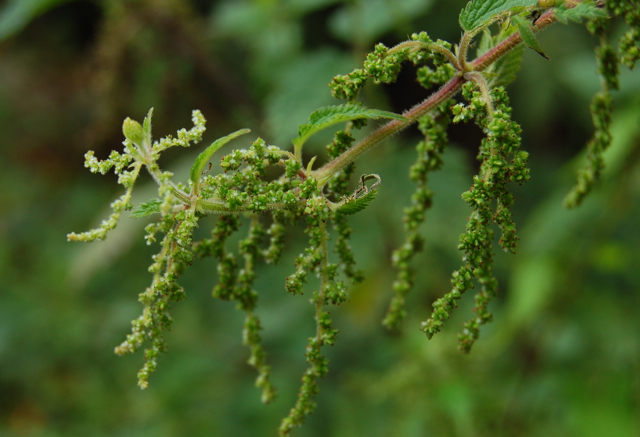 Do you sell harvested, de-sheathed stinging nettle seeds? I am looking for a reliable source to be used for medicinal purposes, not for planting. Your assistance is greatly appreciated. Sorry no, I just harvest for my own use. I will check if any of my suppliers sell in bulk. Thanks for a brilliant inspiring article. Do you have any advice for treating a cat with renal problems who’s very fussy – might soaking nettle seeds in her drinking water be effective? While I realize that this post is five years old now, I am hoping that you might still be responding to comments. I am wondering what your thoughts are on using nettle seeds in the diet, maybe even as a supplement, for an 83 year old woman with minimal kidney function. Looking for a tonic to help maintain or increase kidney function for my grandmother who has narrowly avoided dialysis for the last few years. It is my beleif that her kidney dysfunction is a result of heavy prescriptions due to a lupus misdiagnosis. I can’t give specific recommendations without a consultation but from what you have said I think nettle seeds would be an ideal addition to your grandmother’s diet. I would dry the seed or buy it in and start with a small dose, about a teaspoon a day, then see how she is with it. Gradually increase up to a couple of tablespoons if it is well tolerated. Brilliant article. I have always wondered when the best time and what the better methods are for harvesting. I will be heading out next week to hopefully get some ready for returning to work after maternity leave! 😀 Thank you. Great article on nettles. Thanks very much!